The Bank of New York Mellon Corporation. Down from the September 11 attacks. Located in Times Square Plaza. 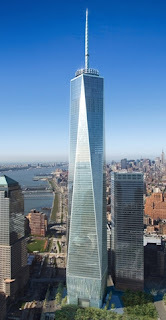 Ranked the 77th-tallest building in the United States. 20th-tallest in the United States. Owner Retirement Systems of Alabama. 73rd-tallest building in the United States. 64th-tallest building in the United States. 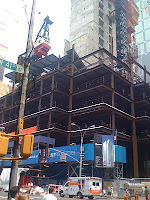 Was Bear Stearns World Headquarters. 101st-tallest building in the United States. 603 feet (184 m) Tall. 615 feet Tall (188 meters) with 47 floors. 66th-tallest building in the United States. 16th-tallest in the United States. Tallest building in Lower Manhattan. 65th-tallest building in the United States. 4th-tallest in the United States. 85th-tallest building in the United States. 43rd-tallest in the United States. 132nd-tallest building in the world. 61st-tallest in the United States. 199th-tallest building in the world. 64th tallest building in New York City. 22nd-tallest in the United States. 58th-tallest building in the world. 39th-tallest in the United States. 123rd-tallest building in the world. 41st-tallest in the United States. Located at Four Times Square. 130th-tallest building in the world. Tallest all-hotel building in the NYC. 32nd-tallest in the United States. 93rd-tallest building in the world. 105th-tallest building in the United States. 104th-tallest building in the United States. 42nd-tallest in the United States. 131st-tallest building in the world. 106th-tallest building in the United States. 98th-tallest building in the United States. 6th-tallest in the United States. 33rd-tallest building in the world. 40th-tallest in the United States. 125th-tallest building in the world. 76th-tallest building in the United States. Category : Skyscrapers, Tallest Buildings. 53rd-tallest in the United States. 175th-tallest building in the world. 81st-tallest building in the United States. 92nd-tallest building in the United States. 28th-tallest in the United States. 79th-tallest building in the world. 44th-tallest in the United States. 148th-tallest building in the world.